Trying to locate a unique Texas gift for him? 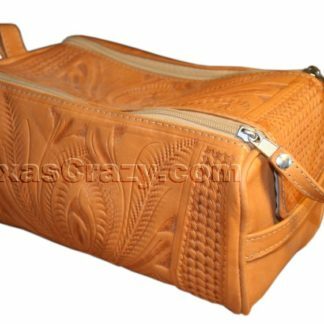 TexasCrazy.com specializes in Texas symbols from our Texas gift pen shop, Texas flag store, and Texas luggage. Hot summers, Tex-Mex food, and the wide open spaces. There’s something incredible about Texas that develops men of character and passion. We’ve hand picked a few Texas-themed products so you can easily choose a unique Texas gift for him. The Texas man in your life: birthday, anniversary or just because, from our collection of Texas gifts for your Texas cowboy. Check out our hand tooled leather cowboy boot bags. They’re just perfect for the man who wants to travel with an second pair of western dress boots. 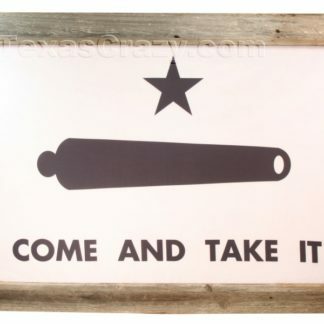 Or fix up his office with a reclaimed wood framed Gonzales “come and take it” Texas battle flag. 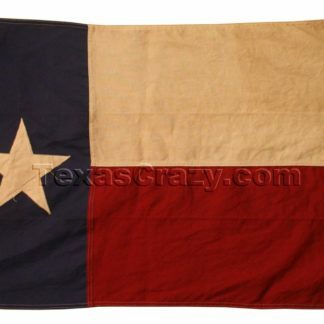 Or a custom antiqued first Republic of Texas flag first designed in 1836 by Texas statesman Lorenzo de Zavala. Also, our Texas map art glass desk sculpture or Texas state map shape round metal paperweight are perfect accents for your Texas office décor.